It has been said that the world looks brighter from behind a smile. We agree. We also happen to be in a good position to give you a smile you're proud of showing off. 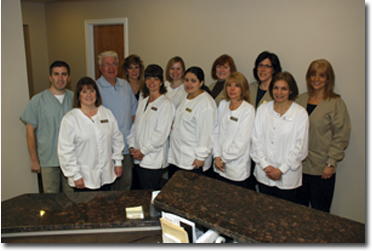 Abbamonte Dental is dedicated to protecting your smile by providing personalized and professional care with a gentle touch. It's the kind of care we would want for ourselves and the kind of care you deserve. You could even say it's the kind that makes you smile. Part of our commitment is helping you to be as informed about oral care and our procedures as possible. In the interest of doing this, we've tried to make our website a resource that you not only find helpful and informative, but also interesting. If you don't see something you have a question on, lets us know! We're happy to answer any questions.